Making your own website can be easy and fun. This step-by-step tutorial will help you to create your own website within several minutes. You can observe the process of website creation in the video guide. STEP 2. 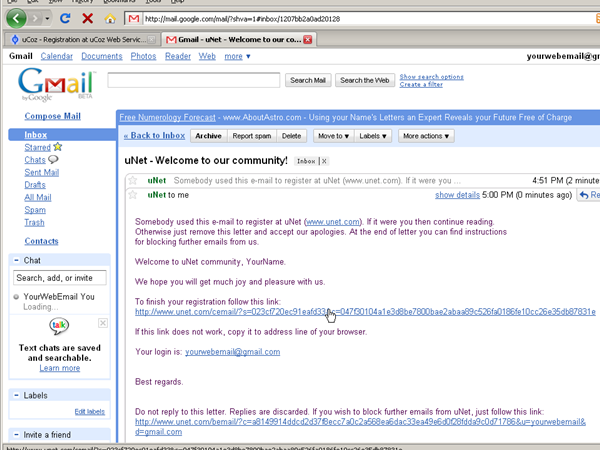 Sign in to your e-mail account and follow the confirmation link received from uNet e-mail. STEP 3. You will be sent to Webtop (Web Desktop). 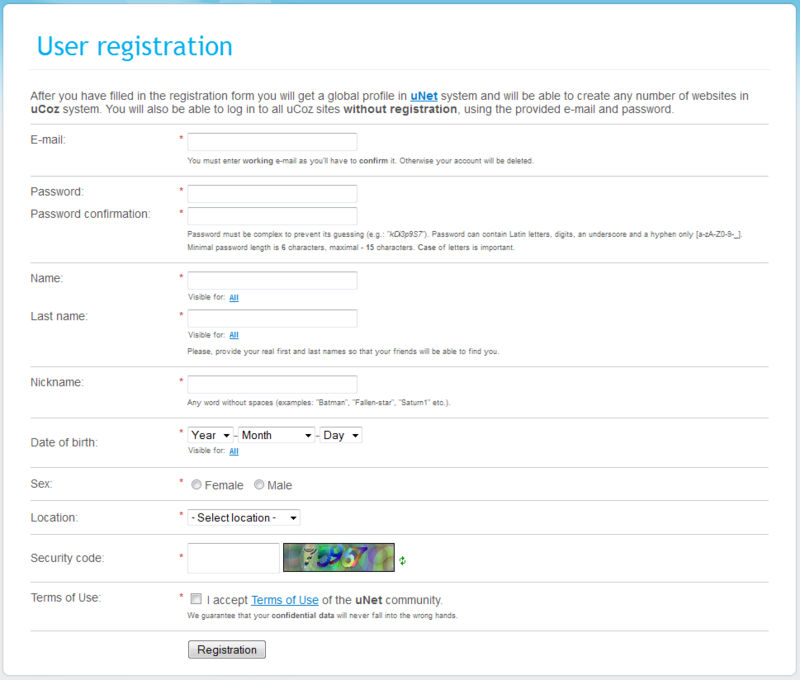 Fill in the Webtop sign up fields: "Webtop password", "Secret question" and "Answer"(you must remember them, it is important), and current uNet password (the password you have entered in "Step 1". Click "Save" button. 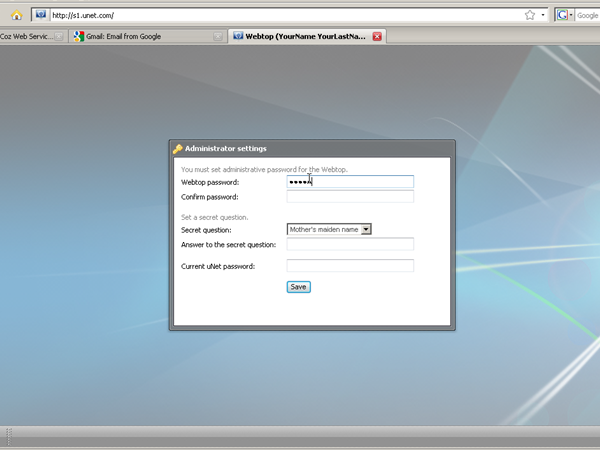 STEP 4.On the Webtop page find "Create a Website" button and double-click on it. Enter the desired website address and click "Continue" button. You will be notified that your website has been successfully created. Then click "Website Control Panel" button. STEP 5. Make the initial configurations of your site. 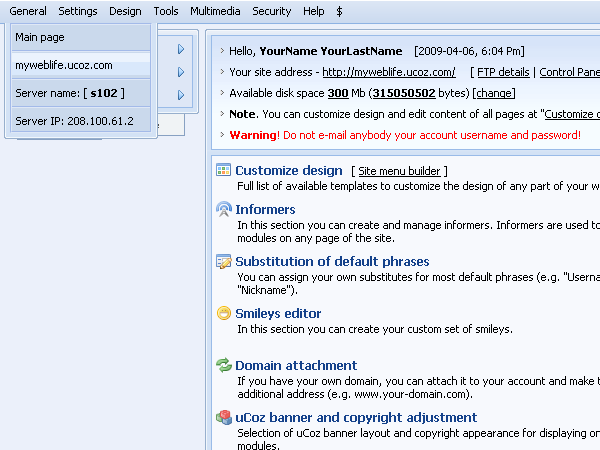 Fill in the "Site name", "Site Language" fields and select "Site design" from the gallery of predefined designs. Then click "Continue" button. STEP 6. Select the necessary modules by means of checking the corresponding boxes. I advise you to begin with just a blog module. Then, as usual, click "Continue" button. And you will be redirected to the control panel of your new created website. STEP 7. In the top menu bar select "Settings"->"Common Settings". Find the option "When opening the main page redirect to" and select "Blog" on the drop-down list. 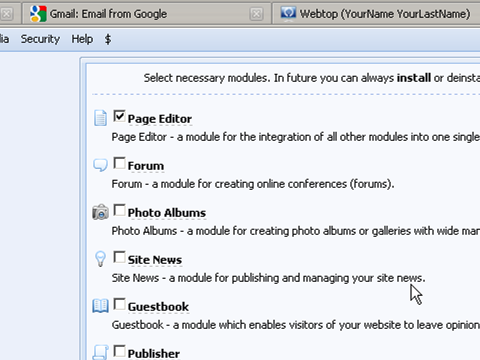 You can select any other module for redirection, e.g. forum if you have activated the forum module in "Step 6". STEP 8. Congratulations! You have just created your own website for free! From this moment it is accessible by your "website address" all over the world. Start filling your website with content to attract visitors. Soon you will be supplied with more guidelines.